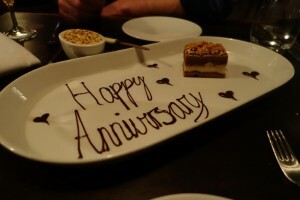 As an extra treat for our anniversary, Lysverket served us a buckwheat ice cream and cake. 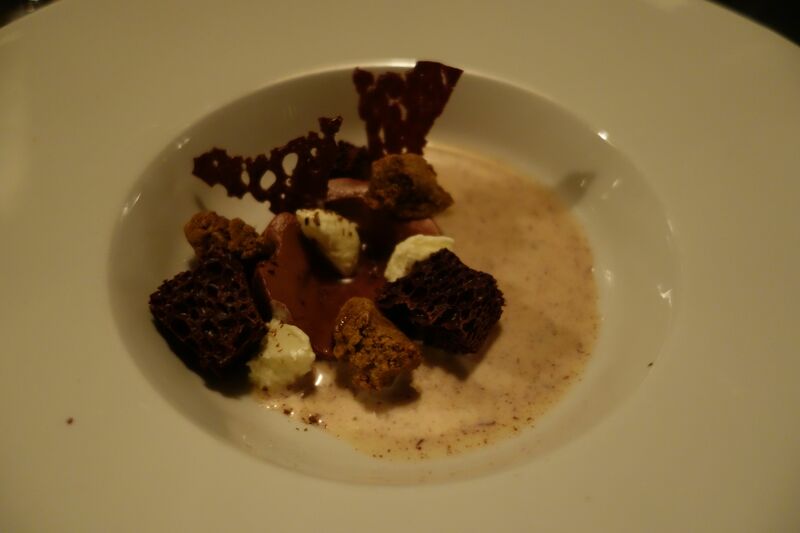 To celebrate our anniversary last week, we went to dinner at Lysverket. The restaurant in located in the KODE 4 art museum in Bergen and specializes in fresh local seafood and produce. There’s no doubt that this place is cool. The decor is Scandinavian minimalist and the restaurant turns into a club with local DJs and fancy cocktails after the last dinner serving. Plus, Conde Nast Traveler named it as one of the planet’s essential travel destinations in 2014. Chef Christopher Haatuft is originally from Bergen, but worked at Per Se in New York City, among other places, before opening his restaurant. So Lysverket comes well recommended, to say the least. Since it was a special occasion, we went full out and chose the seven-course menu. (You can also have four courses.) In addition, we were served a selection of dips with bread and blinis, and Bergen soup. The official first course from the menu was a scallop with beet salad, umeboshi (pickled ume fruits) and herbs. 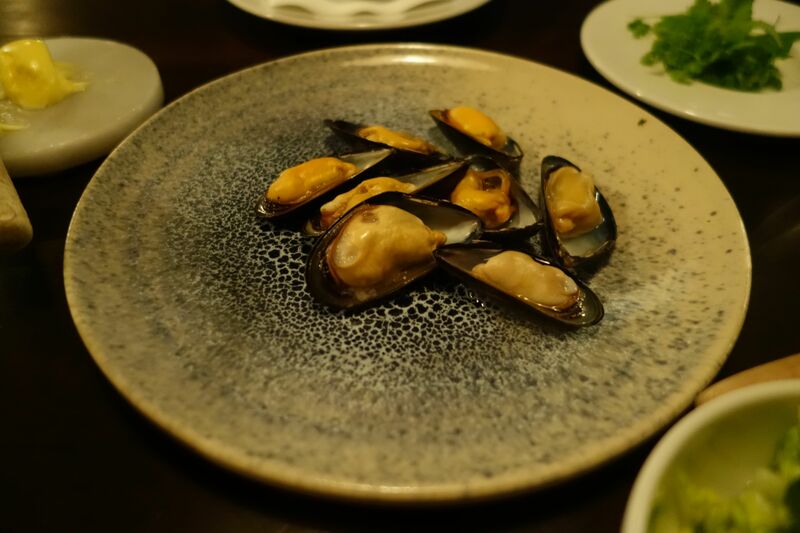 Up next was grilled mussels with crab salad and mussel broth. 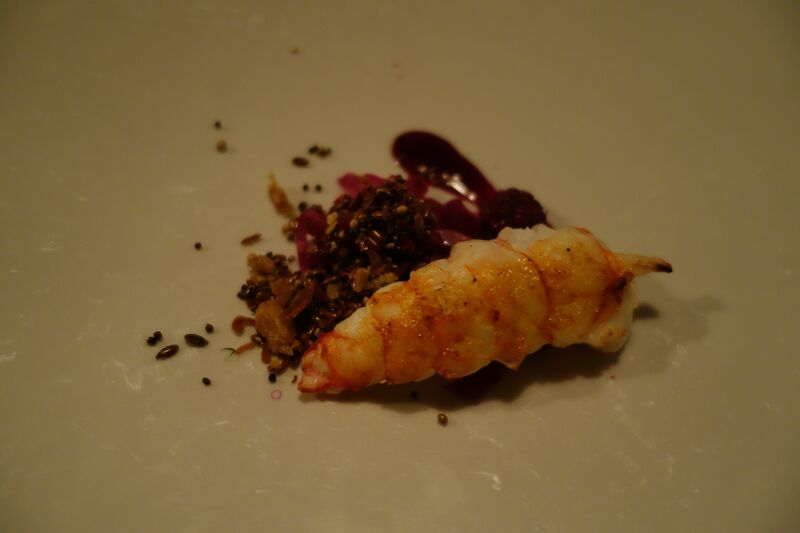 Then the third course was the langoustine (Norway lobster), flax seeds, red cabbage and pickled blackberries. Out of everything we had had up till this point, this dish was my favorite. Course four was a celery root that had been cooked for 12 hours in beef tallow and then served with black garlic, shitake mushroom and barley. 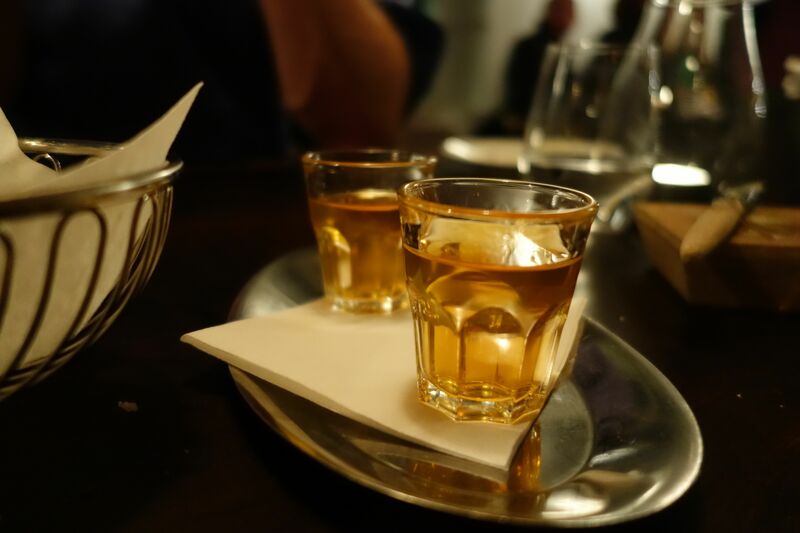 By this point, we were both feeling full, so we took a digestive pause and had a glass of Marka, Norwegian bitters. Then we moved on to the fifth course: cod served with pil pil (a Basque sauce of olive oil, garlic and chili), fried sunchoke (Jerusalem artichoke), spinach and tarragon powder. This was also tasty. I could not decide whether it or the mustard-braised pork belly that came next was better. It was served with radicchio rosso and potato. To finish things off, dessert was a dark chocolate mousse with rye and Irish cream. And as an extra touch for our anniversary–as if we could even think about more food–we were given a buckwheat ice cream and cake. Five hours later, we were finally done. It was a dining tour de force. Overall, the food was amazing and creative. The service was spotty, however. At times the staff was attentive, at times they were missing. In their defense, they were apparently one person short. All in all though, we had a blast and enjoyed sampling that langoustine, in particular. The grilled mussels were served with crab salad. Click on the photo to see it in full. 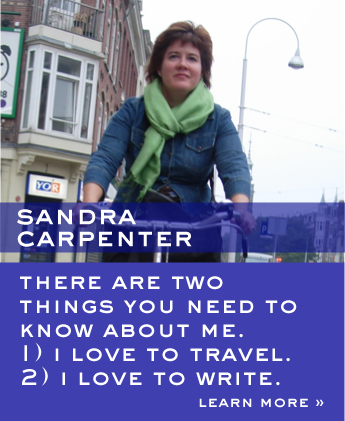 All photos copyright Sandra Carpenter 2016. The langoustine, also known as Norway lobster, was served with red cabbage and pickled blackberries. Delish! 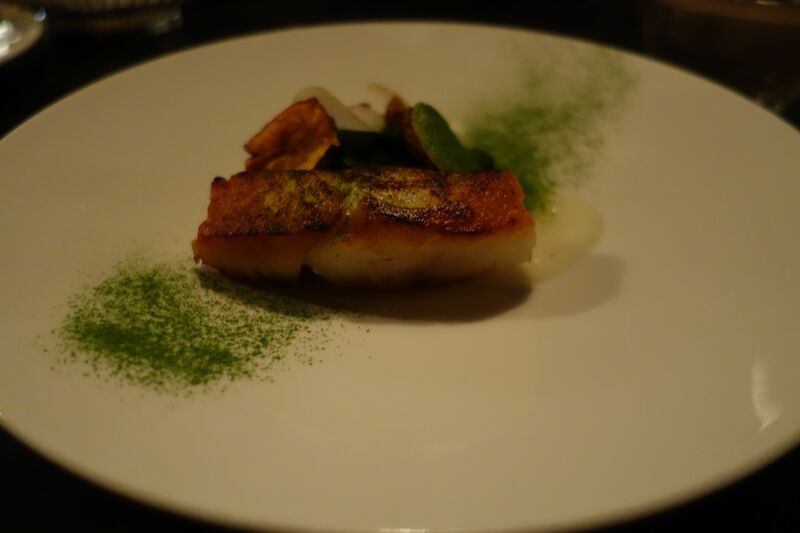 The cod was served with a pil pil sauce, fried sunchoke, spinach and tarragon powder. Dark chocolate mousse with rye and Irish creme. To help digest the meal, we had some Norwegian bitters in between the courses.